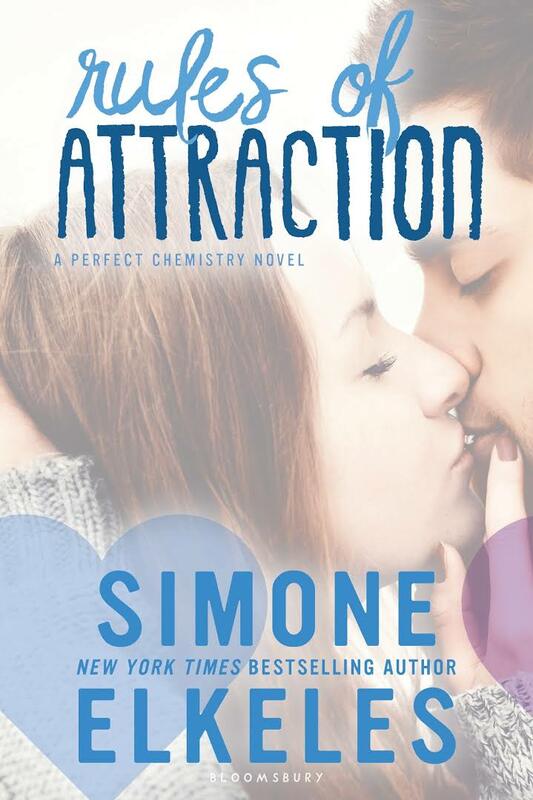 Rules of Attraction is the second book in the Perfect Chemistry series by Simone Elkeles. This book takes place after the events of the first book, Perfect Chemistry but it focuses on a new set of characters, or more so, the second Fuentes brother. Carlos is the typical bad boy in this book and he basically doesn't want to follow in his brother's footsteps. Okay, this is the most cliche, obvious typical bad boy meets good girl and changes kind of story but guess what? I STILL FREAKING LOVED IT. Sometimes you just want to go back to the classics and read the typical romance books and well this one just did it for me! I rate this book a solid 4 out of five stars. Again, this book is sort of a cliche and I don't have a big problem with that, but there was a twist at the end of this book and that was also cliche which kind of bugged me. The story line being cliche and obvious is something I can deal with but the plot twist is what makes every book different and unique and this book just didn't have that which was disappointing because I really could've given it a five stars if it had that. Also character development...? Okay, yes Carlos's character did improve a lot throughout the course of the book but it's always good to see more than one side of the couple changing for the better. Kiara seemed like a great girl and she is but she did have some problems she had to overcome as well and that just didn't show so much in the book. It seemed as if Simone just threw her problems in the beginning of the book but decided, "Hey...I don't know how to fix her problems so I'm just gonna...ignore it..."
Overall, I really enjoyed this read! If you're looking for a fun and easy contemporary to read, then you should definitely pick this up! I know summer is like the "official" time to read contemporaries but I always read these kinds of novels in the winter and I don't know why, haha. Anyway, I hope you guys liked this review!